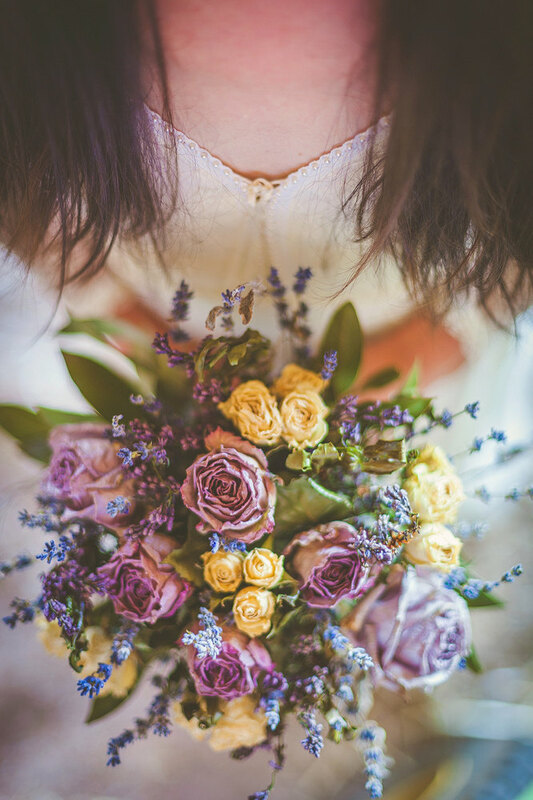 Dried flowers have a way of making any accessory or bouquet look romantic and vintage. We absolutely love the bohemian vibe of dried flowers, so we’ve made a list of 12 different accessories from Etsy that incorporate dried flowers. 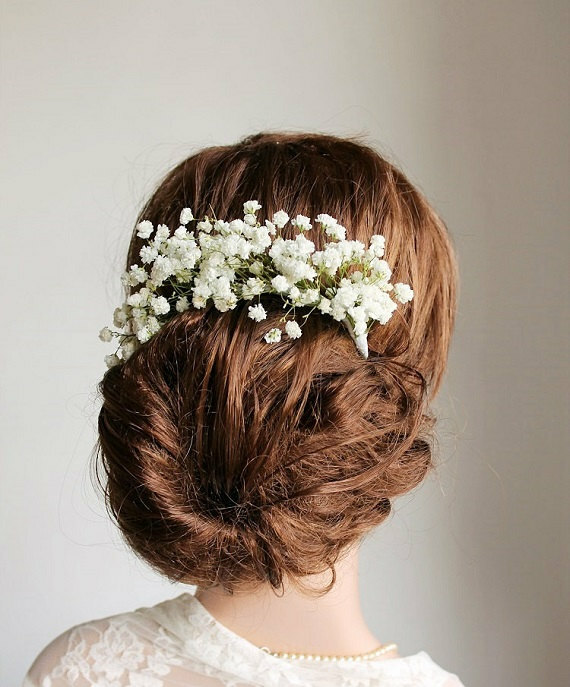 Let’s start off this list with this stunning baby’s breath headpiece by NoviaBellaTS. How sweet! 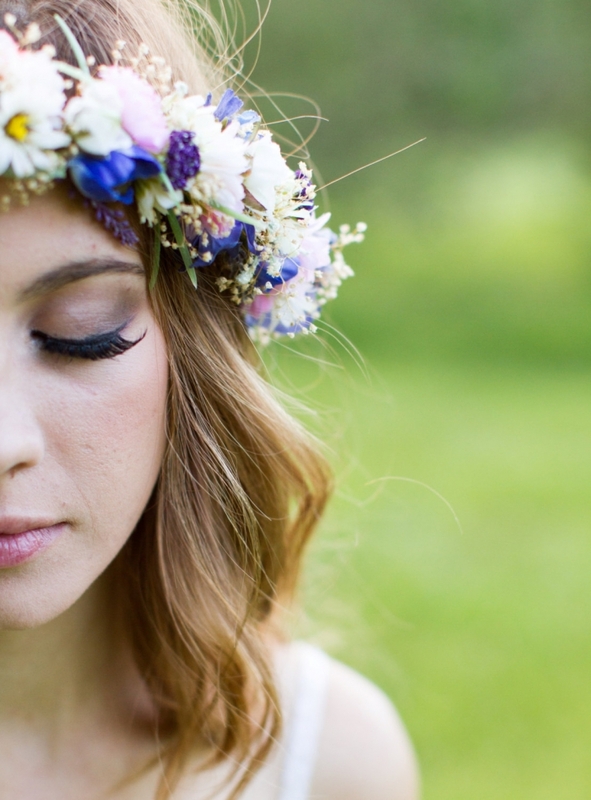 The first flower crown on our list is this gorgeous creation by AmoreBride, covered in daisies and lavender. 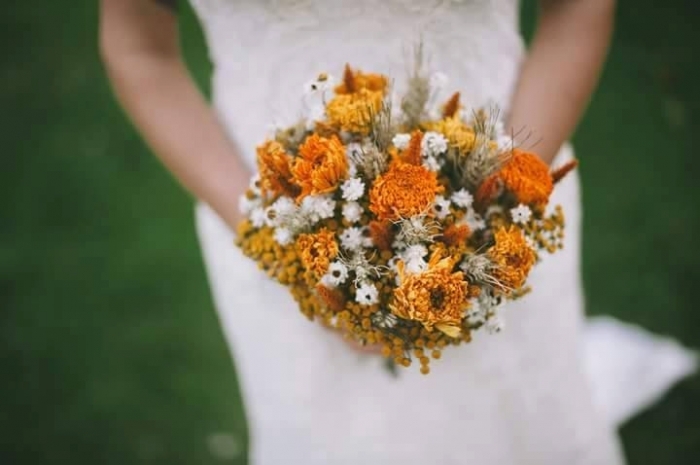 Who says your bouquet can’t be dried flowers? 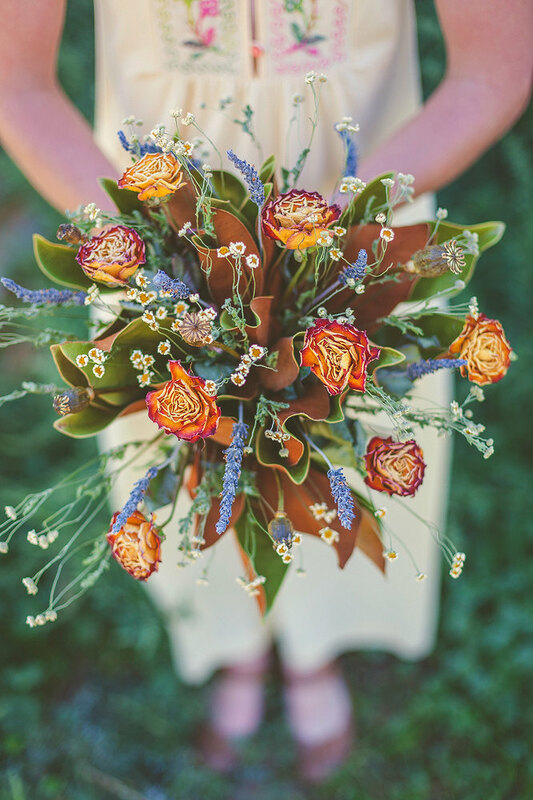 With a bouquet as stunning as this one by WildBlossomsStudio, we don’t think anyone will oppose. Another gorgeous dried rose bouquet made the list. This one by WildBlossomsStudio is decorated with lavender and daisies. 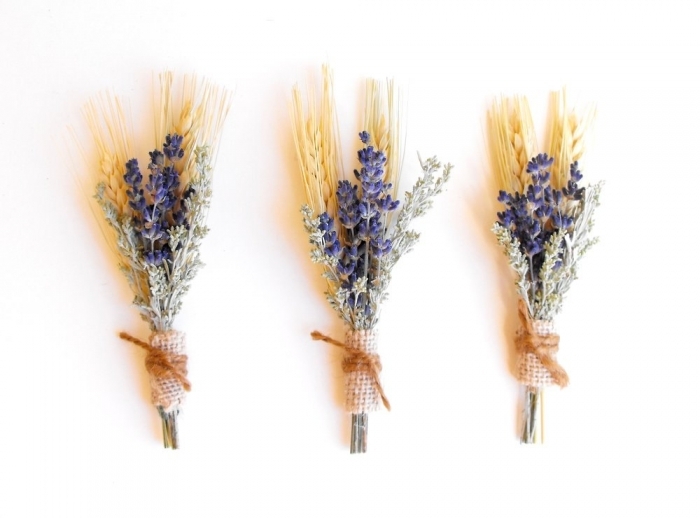 We absolutely love dried lavender, and this great set of dried lavender boutonnieres by MoonflowerNatureArt is no exception. 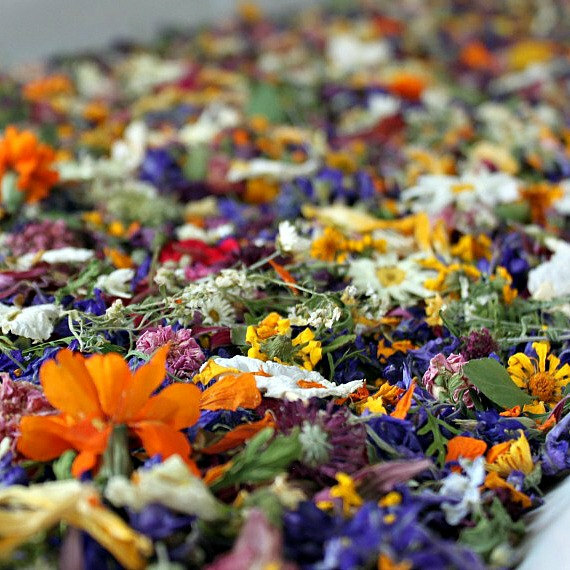 Let your flower girl join in on the fun, and give her this beautiful dried flower confetti by LarkspurHill to throw as she walks down the aisle. 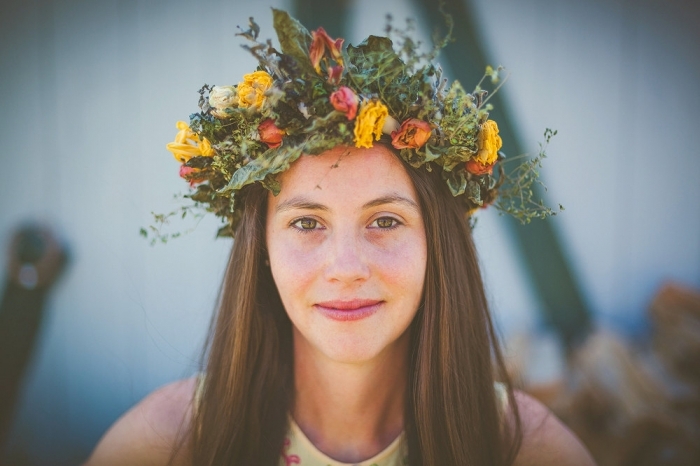 This over-sized flower crown by WildBlossomsStudio is perfect for a bohemian themed wedding. 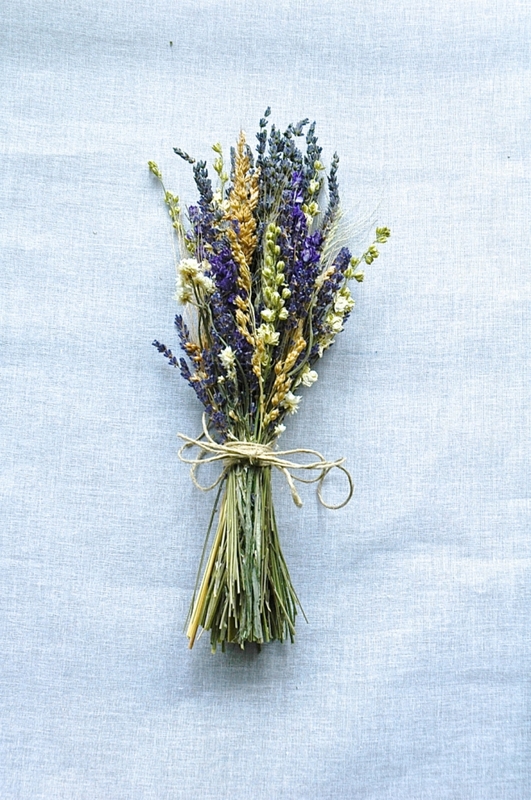 Paulajeansgarden has the perfect dried lavender bouquet for your country-chic wedding. 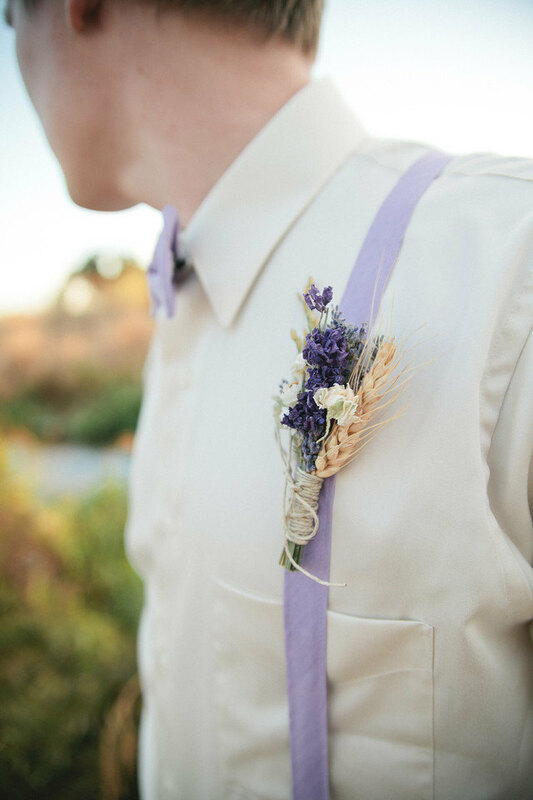 To match the previous bouquet, paulajeansgarden also has these lovely boutonnieres for your groom and his party. Sometimes, simple is best. 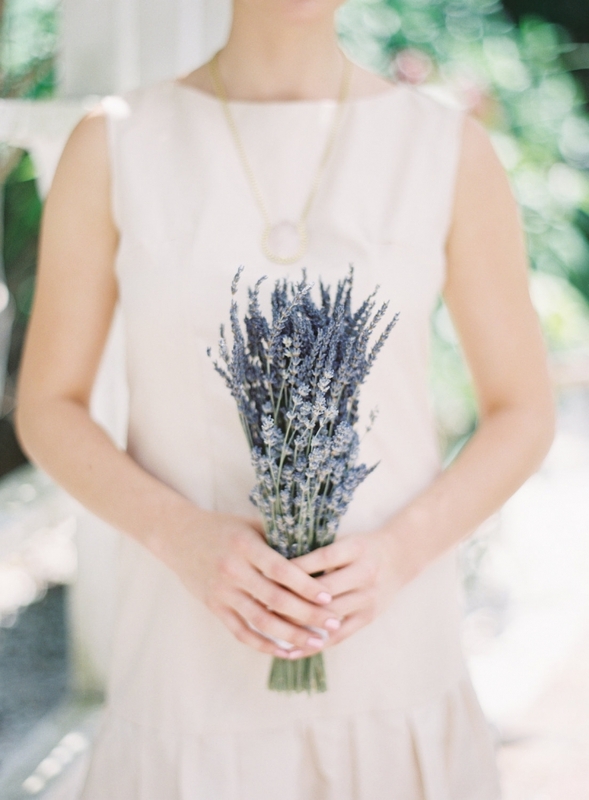 This plain, dried lavender from paulajeansgarden proves just that. 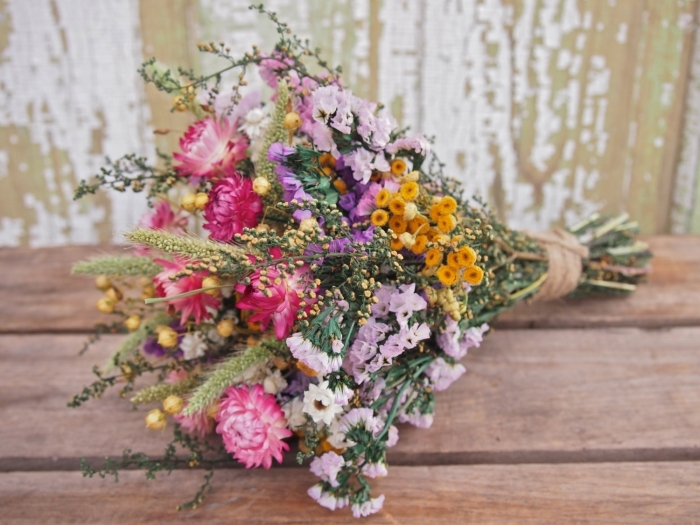 Finally, another stunning bouquet by theflowerpatch. If you’re looking for a dash of color in your flowers, then this is the perfect choice.